Looking to work with a reliable local real estate company? We have cash available to buy houses in Longwood, Fl. Banks and real estate agents dislike us because we don’t charge fees and we buy direct from homeowners. If you want to sell your house in Longwood, but it needs repairs or a remodel, we have that part covered. Our team is ready to jump in and help, so you’ll never have to lift a finger. Our closing process takes about a week, which is much faster than the average real estate company. Learn more about our home buying process and how we make it so efficient. Are You Experiencing One Of These Common Homeownership Problems? Trouble keeping up with mortgage payments? Costly home repairs piling up? Unable to find a buyer? Irresponsible tenants starting to wear on you? Know that you’re not alone. We talk to many people who are in the same situation when they want to sell their house in Longwood. We can help with a cash offer on the property that’s creating these problems. By taking the home off your hands, you can move on with life and focus on the good things. Whether your house needs new paint, new carpet, or even a new roof, we are interested. We will offer a fair written cash offer for your Longwood home as-is. We have a team of crew members who are ready to jump in and help with these repairs after the sale. How to Sell My House Fast in Longwood, FL. 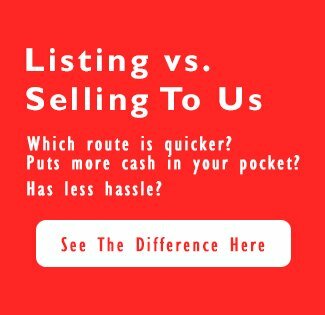 Sell your home fast. No fees. No Commissions. No waiting. Selling homes can be a long, drawn out process – it doesn’t have to be. Working with a real estate agency or banker isn’t always a one-size-fits-all situation. Open houses only add to the hassle of it all – first, you first have to make sure everything is spotless. Then, you have to let strangers walk through your home and admire all your personal belongings. And even then, it’s not guaranteed anyone will buy. Even when an interested buyer is found, you have to go back-and-forth with negotiations, closing inspections, which only adds more time and lost money into the process. Save yourself the time and money. With Zenn Homebuyers, we don’t charge fees or commissions. With us, you can get an all cash offer for your Longwood home as-is within 24 hours. The closing process takes about a week – significantly less than working with a real estate agent. When you pay cash, banks can’t stop the property sale because of paperwork processing or other variables, such as the condition of the house. An all-cash offer is stronger than a traditional loan. To make the closing process faster and more efficient, we accept your Longwood home as-is. No need to worry about cleaning, painting, or fixing up the carpet that you’ve been meaning to clean for a while – we’ll take care of all those issues. Whether you’re living in it or it’s completely vacant – we can buy. Getting a fair written offer for your house within the next 24 hours is just that simple if you give us a call at (407) 910-2385. You can walk away at closing, with cash in your pocket just a few days from now. How would you choose to celebrate? If your life has become more complicated because of homeownership, consider selling your home for cash. Life happens – you might be falling behind on mortgage payments and facing foreclosure. Perhaps you inherited a house and would benefit more from up front cash. And if you don’t have the time of day to fix the property up, we’re glad to take it off your hands. We’re here to take the burden off your shoulders when you want to sell your house in Longwood fast, without any of the hassle. We understand the headaches of tough situations and have cash ready to help. We’ll provide a fair offer in writing to buy your Longwood home as-is. Skip the entire hassle of owning a home. There’s no need to wait several months to sell your home with banks and real estate agents. Avoid the fees and commissions. We’re eager to hear from you and see how we can help. Give us a call and we’ll talk directly before submitting your property information. You can reach us at (407) 910-2385.